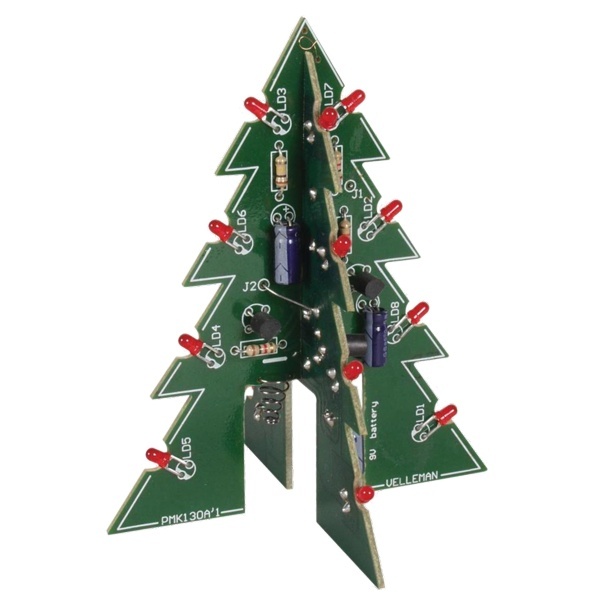 This beginner friendly Christmas Tree kit features two circuit boards that attach together to form a three dimensional tree. There are 16 flashing red LEDs with extra green and yellow LEDs provided for customization. It runs from a 9V battery and consumes only 8mA of power. It's always fun to solder together a blinking Christmas Tree kit. 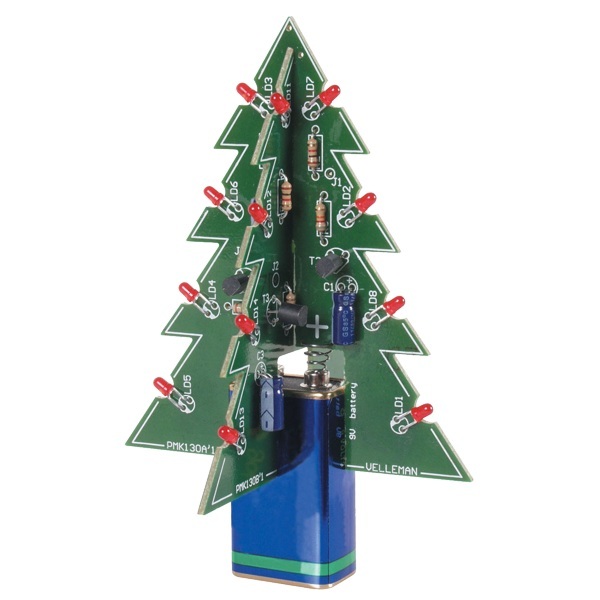 This kit requires beginner level soldering skills.